I would think commission for the seller is less and can negotiate a better rate if selling quite a few lots, I sold a lot of glass at woolley and Wallis last year and paid 8% pus vat plus lotting fees etc. I think they rather take more from the buyer than the seller. Hi as a buyer it realy makes no difference what the premium is, as you will take this into account when bidding. In effect it is the seller who pays all the commission. Recieving just over half of the hammer price. the buyer knows what they are spending and go home happy with there new purchase. Buyer premium is just a way of getting more from the seller without them realising they are being had. 9 of the best Selkirk weights you are likely to see, 3 of them 1 of 1's and the rest I think are all limited edition lampwork weights. 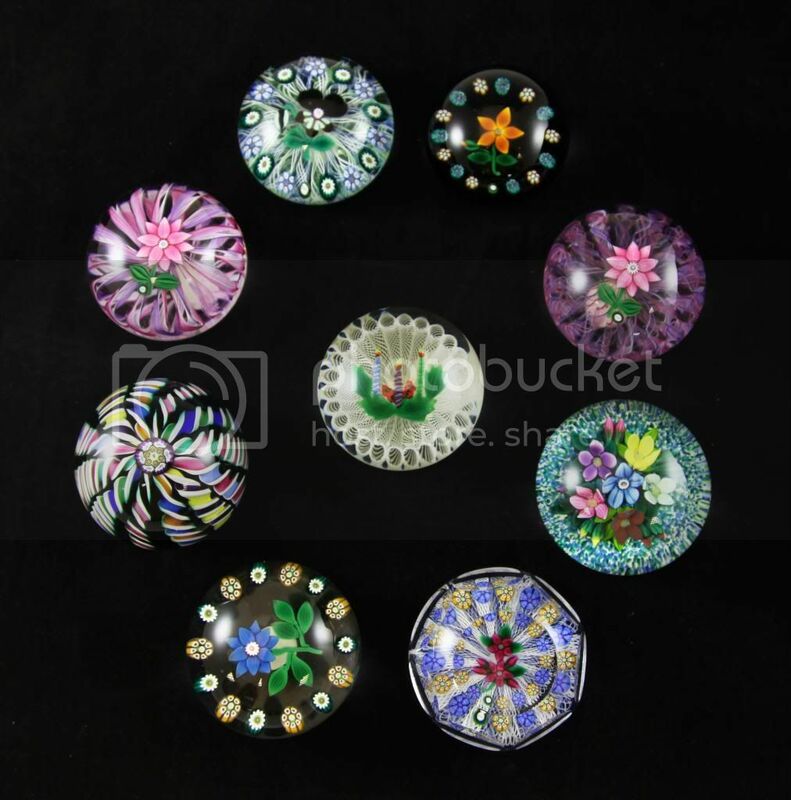 will they all be peters lampwork? Page created in 0.697 seconds with 28 queries.